I’ve Got Back Pain...What Can I do? 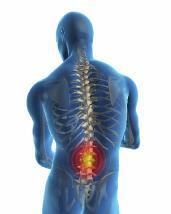 Back pain is a common condition with 80% of the general population suffering from it at some point in their lives. Although common, nothing really prepares you for what it is like. We don't really think about our backs and spinal region in normal day to day life. It works without notice as a point for the limbs to attach to and is therefore involved in most movements and activities that we undertake. Pain in the back will therefore affect most activities of your daily life and so it can be scary, worrying and just plain down right annoying. It can leave you feeling isolated, dependent upon others and worried about whether things will be right again. Here are our James Rind Physiotherapy top 3 tips for managing the initial stages of back pain. As an advisory note, if you are experiencing any issues relating to your bladder or bowel since the onset of your back pain please seek medical assessment immediately. The advice provided below is based upon this not being the case. Getting anxious and stressed about the pain that you are experiencing will make your muscles tense which will naturally increase your pain levels and reduce your ability to move…a vicious cycle if ever there was one. Firstly, you must reassure yourself that in the large majority of cases people with back pain will make a relatively swift return to normality over a period of some 3 to 6 weeks. Things are very likely to get better and it is important to remind yourself of that. The temptation to protect yourself from the pain by taking to your bed or sitting for prolonged periods of time is not going to get you better optimally. There is really strong evidence that supports the importance of maintaining little and often movement when you have back pain. Here at James Rind Physiotherapy we recommend that you try to stand, sit and walk for short periods through the day. This will help to reduce the build up of stiffness and so additionally pain in the back joints, muscle and ligaments. If you have tried the above advice and you feel that you are not getting better quickly enough or you are concerned and need more advice then don't go it alone, call and book an appointment with a Physiotherapist who is an expert in the assessment, diagnosis and treatment of all forms of back pain. Our Philosophy is to not only get you better with direct hands on treatment, but also advise and educate you about how to manage and prevent the problems from returning. Back pain does not necessarily need to interfere with your life for a long period of time, effective treatment and management from the early onset will improve the outcome that you will gain. So don't worry (it will make your pain worse); keep moving (if not it will make your pain worse) and if you are not getting better swiftly contact James Rind Physiotherapy and speak to one of our expert Physiotherapists without commitment for their advice on your situation.